Taken from the spire of St. John's Church, looking front. The old Pensioner's Reading Room on the left (now demolished to make way for the parsonage), and the old St. John's School (then Girls Only). 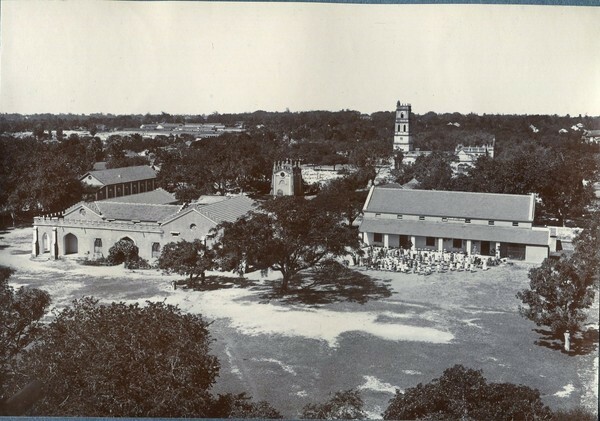 The Old St. Francis Xavier's Church (now Cathederal) can also be seen along with the St. Anthony's Chapel.